In an interview with NME he said : "I don't think I can live in a world where that's even possible. When you hear that kind of polished pop and then there's a ginger guy with a guitar it seems subversive, but it's not." 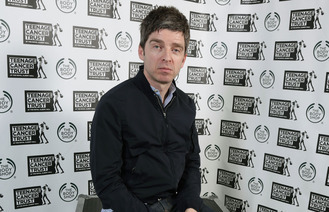 Noel Gallagher has previously spoken out about "middle-class" musicians including Sheeran for not playing at the Teenage Cancer Trust gigs the former Oasis singer organises. Gallagher said he had been let down by other musicians, including Ed Sheeran and Grammy-winners Mumford & Sons, who had originally agreed to play the gigs but were later changed their minds. "What’s interesting is all the working-class bands said yes straight off the bat, no inkling of when it was. The middle-class bands said yes and wriggled out of it. I dunno what that means, but it must mean something," he said at the time.